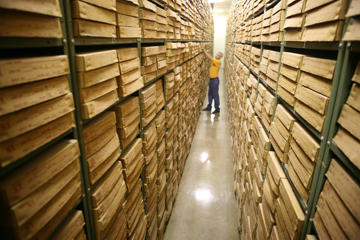 The Illinois State Geological Survey (ISGS) manages one of the largest collections of geologic samples in the United States. 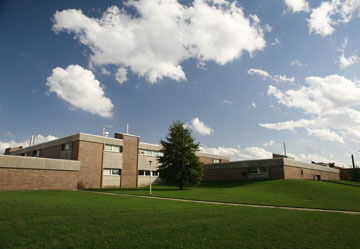 The collections are housed in the Geological Samples Library (GSL), located in the Natural Resources Studies Annex on the campus of the University of Illinois at Urbana-Champaign. The Geological Samples Library is the legislatively mandated repository for drill-hole samples in Illinois (State Law 225 ILCS 730/2), including cores drilled for mineral exploration and geologic investigations. provides high-quality services to users of the collections. 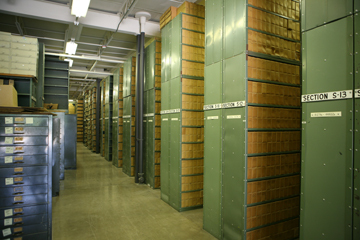 Each year the Geological Samples Library is used by geologists from the coal and oil and gas industries; quarry operators and mineral prospectors; academic researchers and students; and water, engineering, and consulting companies, as well as staff from the Illinois and other state geological surveys. The collections help researchers understand the subsurface geology of Illinois. Room 102 E of the Natural Resources Studies Annex, located on the south campus of the University of Illinois, contains both the Geological Samples Library office and the Sample Study Laboratory. The Samples Library provides visitors with ample space to study samples. A study area equipped with a microscope and ultraviolet light is available for examination of samples. Additional equipment includes two rock-cutting saws and an automated core-slabbing machine. For 100 years the Illinois State Geological Survey has been collecting drilling cuttings in an effort to help its scientists and the public understand the subsurface geology of Illinois. These collections, now housed in the Geological Samples Library (GSL), contain approximately 70,000 sets of well cuttings (rock brought to the surface during drilling) and over 15,000 rock cores (cylindrical rock samples). The cuttings come mostly from oil and water wells; the cores come primarily from coal, oil, stratigraphic and mineral tests, engineering studies, and foundation and bridge borings. Most of the core on file was condensed from its original form, although in the last 25 years saving continuous core sets has been emphasized. The Library also houses collections from mines, quarries, outcrops, clay pits, sand and gravel deposits, and Pleistocene glacial deposits. These collections are valuable records of the approximately 1.5 billion year-old geologic history of Illinois. Billions of dollars have been expended, mostly by private companies, in the infrastructure required to collect these samples. Having these samples available allows Survey geologists and others to access this valuable information without the expense of reacquiring the samples, which in a great many cases would be impossible because the sites are no longer accessible. Visitors must register at the Geological Samples Library office to obtain permission to study the collections. Samples Library staff will assist visitors with sample retrieval and layout. Samples are not loaned, but selected sampling of the collection is permitted with prior approval. No fee is charged for studying samples, and no appointment is required; however, we request that you call 217-333-3567 at least a day ahead of your visit, so that we can retrieve the samples you want and set up a work space for you. If samples are used for thesis research, students are required to provide a bound copy of their thesis, any thin sections made from the collection, and copies of any slides or photographs made of the samples. 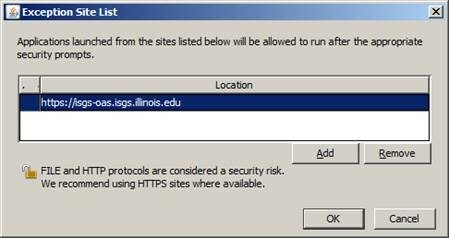 Failure to comply may result in the student's institution losing rights to use the facility.